For the 75th anniversary of the Denver Council on Foreign Relations the organization began awarding distinguished members of the community with the Leadership in Global Engagement Award. Recepients are recognized for their outstanding achievements in linking Denver, the Front Range, and Colorado via global, international, national, statewide, and local engagement. 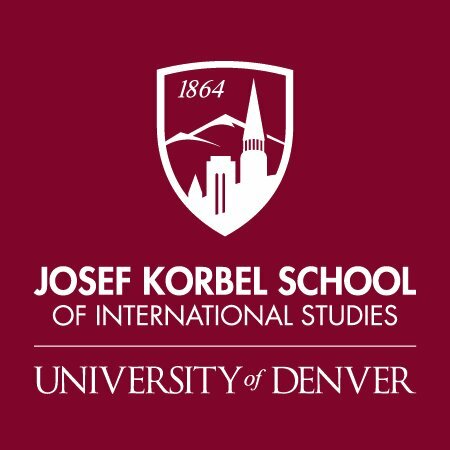 The Social Science Foundation (SSF) supports the Josef Korbel School of International Studies at the University of Denver. It was established in 1923 and today manages a multi-million dollar trust, the proceeds of which are dedicated to promoting the study and application of international relations at the undergraduate and graduate levels. In recent years, the SSF has helped finance the school's unique certificate programs in global health and humanitarian assistance, while providing seed capital for new centers and research institutes. The SSF is a distinguished panel of respected leaders in their fields that are dedicated to the continuing progress of the Joseph Korbel School by: advising the dean on the strategic directions of the school, supporting new programs financially, enhacing the reputation and improving the visibility of the school, assisting the dean in efforts to secure funding from resources outside the university to achieve the school's goals, and supporting ongoing alumni and public relations. On May 10th, DCFR concluded its exciting year by hosting the 2017 Leader in Global Engagement Award celebration where the award was presented to Professor Ved Nanda. This annual event was the organization’s fourth gala in which it awarded an outstanding patron of the Rocky Mountain Region for their historic contributions to the international community. Professor Ved Nanda is not only a pillar of the local Denver community, but one whose extensive contributions to the national and international law communities have earned him this year’s Award. Born in India, Professor Nanda earned his B.A., M.A., from Punjab University, India, 1952. He continued his education, earning his LL.B. in 1955 and his LL.M. in 1958 from Delhi University, India. By 1962, he had earned his LL.M. from Northwestern University, Graduate Fellow, Yale University. Having beenintroduced to International Law at Yale—one of the first U.S. schools in this discipline—he moved to Denver in 1965 to teach at the University of Denver Sturm School of Law where he introduced the International Human Rights & Law course—the second in the nation. By 1972, he had created the school’s International Legal Studies Program and the Denver Journal of International Law and Policy. Currently, Professor Nanda is the Director of the Ved Nanda Center for International and Comparative Law at the University of Denver Sturm College of Law. He was awarded the University of Denver’s John Evans Distinguished University Professor in addition to the Thompson G. Marsh Professor of Law at the University of Denver Sturm College of Law. Professor Nanda actively participates on the Board of Trustees and Board of Directors of several national and international scholarly societies and nongovernmental organizations. 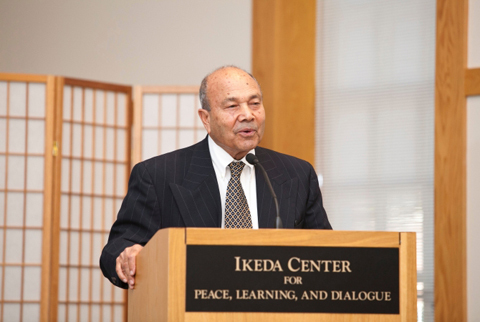 His awards include the Gandhi-King-Ikeda Award for Community Peace Building from Soka Gakkai International and Morehouse College (2004), the World Jurist Association’s Highest Order of Justice “World Legal Scholar Award” in Beijing, China (1990), and the United Nations Association Human Rights Award (1997). He has received honorary doctorates from Soka University in Tokyo, Japan and from Bundelkhand University, Jhansi, India. Widely published, Professor Nanda has authored or co-authored 25 books and more than 200 major law review articles and chapter in the various fields of international law. He is a frequent guest on television and radio, and writes regularly on international issues for The Denver Post. In January 2007, Daniel L. Ritchie became Chairman and CEO of the Denver Center for the Performing Arts, one of the largest cultural complexes in the United States, a position he held until 2017. 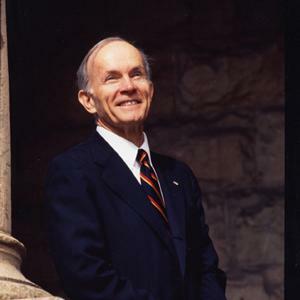 Prior to that, he was Chairman of the Board of the University of Denver from 2005 to 2007 where he served as the 16th Chancellor for 16 years from 1989 to 2005. Ritchie's involvement with the University of Denver began in 1983 when he became a trustee. He served as vice chairman of the board and chaired the development committee before becoming Chancellor. student residence, business, science, law and music education; a center forathletics, recreation and wellness; a performing arts center; and more funds for scholarships. Ritchie was CEO of Westinghouse Broadcasting for eight years before moving to Colorado in 1987. That year, the long-time corporate executive began a new life on Grand River Ranch, a large property he had owned near Kremmling for many years. The move to Colorado capped a career of nearly 30 years spent in executive positions with MCA, Inc. and Westinghouse. Ritchie currently serves as President of the Temple Hoyne Buell Foundation, which focuses on early childhood education and development, and he is Chairman of the Board of the Daniels Fund, which supports programs that encourage personal responsibility and achievement by funding college scholarships and community programs. Ritchie has also served as chair of the Education Committee of the National Park System Advisory Board. Some of Ritchie’s awards include: The Citizen of the West Award given by the National Western Stock Show to an individual who exemplifies the spirit and determination of the Western pioneer; the National Samaritan Institute Award; the Gold Medal Award of the Poor Richard Club; Outstanding Philanthropist at National Philanthropy Day; the National Human Relations Award from the American Jewish Committee; a Laureate member of the Colorado Business Hall of Fame and the Ethical Leadership Award from the University of Denver. He holds both undergraduate and MBA degrees from Harvard. Ambassador Hill served as a peace corps volunteer in the Republic of Cameroon from 1974 - 1976 before joining the State Department in 1977. Throughout his diplomatic career, he served as Ambassador of the United States to the Former Yugoslav Repbulic of Macedonia from 1996 - 1999, Special Envoy to Kosovo from 1998-1999, Ambassador to Poland from 2000 - 2004, and Ambassador to the Republic of Korea from 2004 - 2005. Ambassador Hill went on to be appointed Assistant Secretary of State for East Asian and Pacific Affairs and the head of delegation for the 'six-party talks' that aimed to resolve the North Korean nuclear crisis of 2005. President Barrack Obama nominated him for the post of US Ambassador to Iraq in 2009. After retiring from the State Department, Ambassador Hill joined the University of Denver as Dean of the Josef Korbel School of International Studies. Michael B. Hancock, who became the city’s 45th mayor in July 2011, immediately began to transform Denver into a more globally competitive city. With the fifth-busiest airport in the United State serving more than 54 million passengers per year, Mayor Hancock is leveraging Denver International Airport (DIA) to make the entire Denver region a major gateway to the world. The Mayor has also developed strategic short- and long-term business plans to support and grow Denver’s diverse, intelligent and forward-leaning businesses in emerging industries such as clean energy, bio-technology, telecommunications, aerospace and healthcare. Denver’s economy is at the forefront of American cities, offering among the strongest job and housing markets in the U.S. The Mayor believes there is nothing more important than helping every young person in every neighborhood compete and succeed in the 21st Century economy. He is aligning all City departments with nonprofits, businesses and educational organizations to better prepare all children for every stage of life through new initiatives such as the Denver Children’s Cabinet and Denver Education Compact. Prior to becoming Mayor, Michael Hancock served on the Denver City Council for eight years, including two as City Council President. In his early career, he worked for the Denver Housing Authority and National Civic League, and was the youngest President of an Urban League chapter in America. Mayor Hancock is married to musician and performer Mary Louise Lee, and is the proud father of three children: Alayna, Jordan and Janae.